Lakshmi Vilas bank published the official recruitment notification for the recruitment of probationary officer posts. All eligible candidates who hold the eligibility criteria they can fill application form online for LVB PO posts. Selection of the eligible candidates for lakshmi Vilas probationary officer posts will be strictly based on through the online examination followed by personal interview test. High Court Judicature Patna published the official recruitment notification Advt. No.- No. P.A./01 / 2017 for inviting online application form for various category of the posts. All eligible candidates who hold the eligible criteria they can fill application form online at the official website of Patna. Total no of vacancies are 100 for personal assistant posts. Selected candidates will be appointed in the pay scale 9300-34800 and grade pay of Rs 4600. Important recruitment details of HC Bihar Assistant latest Job Notification as are following. Jawahar Lal Institute of Post Graduate Medical education & research, JIPMER (An Institution of National Importance under Ministry of Health & Family Welfare, Government of India) published the official admission notification for MBBS program. All students who want take admission in MBBS in JIPMER they can fill application form online at the official website of JIPMER. Selection of the eligible students for the admission in MBBS program will be done through the entrance examination. JIPMER Medical Entrance examination will be held on 4 June 2017 at various examination centers. Jammu Kashmir public service commission published the official recruitment Notification No. : 01- PSC (DR-P) OF 2017 Dated: 27-03-2017 for the inviting online application form for Medical Officer in Health & Medical Education Department. Application form is invite online from the eligible candidates. Online registration form submission will be started from 1 April 2017. Last date of application form submission is 1 may 2017. Total no of vacancies are 371 including various categories. Selected candidates will be appointed in the pay scale of Rs.9300-34800 with Grade Pay of Rs.5400. National Insurance Company Limited NICL published the official Recruitment Notification for the posts of Administrative officer posts. NICL invited online application form for filling total 205 posts of Administrative officer AO scale 1. online examination of NICL AO Generalist was held on 3 June and 4 June 2017. Advertisement was published in the month of March 2017 for this vacancy. All candidates who will be declared qualified in the Online Phase 1 examination they will be call for phase 2 examination. NICL AO phase II examination will be held on 2 July 2017. all those candidates who will be declared qualified in phase 2 exam they will be call for personal interview test. Finally selected candidates for NICL AO posts will be appointed as AO on NICL AO Basic pay would be Rs. 32,795 /- in the scale of Rs. 32795-1610(14)-55335-1745(4)-62315. Probation period of administrative officer will be 1 year from the date of joining. NICL Conducted Online examination for Generalist posts. Questions of NICL AO Phase 1 Online Examination were Objective type and MCQ based. Question paper medium was Hindi and English. Total 60 minutes time duration was given for attempting the question paper. Negative marking is applicable in this examination for each incorrect answer ¼ marks will be deducted. The total marks of the examination will be 100. Candidates will be short listed for phase 2 on the basis of overall marks scored in objective test against full marks of 100. Insurance and United India Insurance and Oriental Insurance Co. Ltd.
*In 2013-14 The recruitment notification contained all the General Insurance Companies, which are NIACL, NICL, UIIC and OIC. The AO exam was conducted by all the four companies. So Cut-off is Unanimous for all the companies. Central Reserve police force published the official advertisement for online recruitment for the pots of SI overseer AS draughtsman & CT / Pioneer (Mason/Plumber/Electrician/Carpenter/Painter) IN CRPF FOR VACANCY YEAR 2016-17). All eligible candidates who hold the eligibility criteria they can fill application form online till the last date 5 may 2017. Selection of the eligible candidates will be based on through the written examination will be held on 30 July 2017. Application form submission will be started from 6 April 2017. Notification is published for filling total 240 posts of Different category. Pay Scale of Rs. 5200-20200 + grade pay of Rs. 2000/- + allowances. 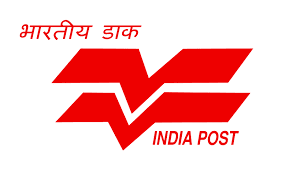 Eligibility Criteria for Gujarat Post Office Job 2016: Age limit should be according to the closing date of online registrations of application that is 11.04.2016. There will be age relaxation for reserved category candidates as per the Govt. of India’s rule. For SC/ST candidates Age relaxation will be of 5 years and for OBC it will be 3 years. Minimum Educational Qualification for mail Guard and Postman Job: Matriculation is the essential qualification for both type of cadre that is postman as well as mail guard. Examination centre: Ahmedabad, Rajkot and Vadodara cities of Gujarat. Recruitment Process for the Gujarat Postal Circle Recruitment2016: Selection procedure is based on written test (objective type questions) and merit list. Paper will be based on 100 MCQ type questions with 100 marks. There will be 4 parts and each part contain 25 ques. With 25 marks. How to Apply for gujpostexam.com: Candidates can fill this online application form only through official website http://www.gujpostexam.com till the last date 11.04.2016. Mode of Payment: The cost of application form and examination fee is given above and candidates can pay the fees till Last date of deposition of application fee through e- payment at Post Offices that is 14.04.2016. Gujarat postal circle published the official recruitment notification for the recruitment of postal assistant, sorting assistant, postman and MTS cadre under sports quota from open market in Gujarat circle. Last date of application form submission is 12 April 2017. Postal department Government published the advertisement Notification no RR&E/2-31/DR/2017-18 dated 24/03/2017 for inviting online application form for PA, SA, MTS category. Madhya pradesh professional examination Board published the official recruitment notification for inviting online application form for Diploma in animal husbandry entrance examination 2017. All eligible candidates who hold the eligibility criteria they can fill application form online of DAHET at the official website of MP PEB. You can fill Vyapam DAHET application form till the last date 9 April 2017. Selection of the eligible candidates for the DAHET will be based on through the entrance examination which will be held on 30 April 2017 at various examination center of all Madhya pradesh. Pashupalan diploma pravesh pariksha will be conducted by professional examination board. Madhya pradesh lok sewa ayog published the official recruitment notification Vigyapan Sankhya 03/2017 dated 8 march 2017 for inviting online application form for state engineering services 2017. All eligible candidates who hold the eligibility criteria they can fill application form online at the official website of MP lok sewa ayog. Selection of the eligible candidates will be based on through the written examination followed by personal interview test. Written examination will be held on 16 July 2017 at various examination center of all over Madhya pradesh. All eligible candidates who hold the eligibility criteria for Mp engineering services they can fill application form online till the last date 15 April 2017.
) with NET 2016 (Rashtriya patrata pariksha) . This examination will be held on between 16 may 2017 to 21 may 2017. Examination will be held online mode at various examination center of all over India. All those candidates who will be declared qualified in the Pre exam of ARS they will be call for mains examination which will be held on 8 July 2017. ICAR ARS pre exam will be qualifying nature and marks of online examination will not be added in final merit perpetration. In the last personal interview test will be held for all candidates who will declared qualified din the main examination. Finally qualified candidates will be appointed as scientist in Agricultural research service ARS of Indian council of agricultural research ICAR in the Pay Band-III of 15,600-39,100 plus Research Grade Pay of 6,000. NET examination will be also held by ICAR. BCECE Board examination was held on 17 April 2017 at various examination center of all over Bihar. Bihar combined entrance competitive examination 2016 was held for the admission in different program . Bihar sanyukt pravesh pratiyogita pariksha parishad every conduct Bihar sanyukt pravesh pratiyogita pariksha for the admission different professional level graduation program like engineering , medical science , dental program , agriculture science , veterinary science , fishery science, diary etc . Selection of the eligible candidates will be based on through the merit list of BCECB . Written examination comprise two phase. 1st phase examination was held on 17 April 2016. Question of BCECEB written examination was objective type and MCQ based. Written examination was qualifying nature. Written test will carry maximum 600 marks. Total 2 hour and 15 minutes time duration was given for attempting the question paper. Written test was started at 11 am and completed on 1:15 noon. This examination is qualifying nature. Question paper comprises four section. 1s section was related from physics, 2nd section from chemistry, 3rd section from chemistry and 4th section was related from biology. Each section will contains 50 question . Negative marking will applicable in this examination for each incorrect answer 1 marks will be deducted as minus marking. Bihar Government has published a Notification Advertisement for the entrance examination of Industrial Training Institute Competitive Admission Test (I.T.I.C.A.T. )-2017 under the Bihar Combined Entrance Competitive Examination Board (BCECEB/BCECE Board) for all the government colleges/institute (Industrial Training Institute) of Bihar state. There are various streams for which candidates can apply. This notification is for the Educational Session 2017-2018. All the information regarding Industrial Training Institute Competitive Admission Test (I.T.I.C.A.T. )-2017 is available on the BCECEB’s WEBSITE (www.bceceboard.com). And all eligible female candidates are able to get the admission in Government women ITI institute / collages through this ITI entrance exam. Candidates can download their admit card from the website of BCECE board from 10th April 2017 on which examination centre will be Given. There are 65 institute / collages and 1000 above seats in various courses /streams/ programs for which, candidates can apply for Industrial Training Institute. Canara Bank published the official recruitment notification CB/RP/1/2017 for the recruitment of specialist officer posts in various discipline. All eligible candidates who hold the eligibility criteria they can fill application form online at the official website of Canara bank. All eligible candidates can fill application form till the last date which is 12 April 2017. Bihar Government has published a notification regarding conducting entrance exam through Bihar Combined Entrance Competitive Exam.-2017 for the educational year/ session 2017- 2018. Candidates can fill the application form only through online mode and after filling the application form it will be sent on the given address (Controller of Examination, B.C.E.C.E. Board, I.A.S. Association Building, Near Patna Airport, P.O.-B.V.College, and Patna – 800014) as per the B.C.E.C.E. norms but candidates can give the exam only through offline mode. There are 17 different stream such as Civil, Mechanical, Electrical, Chem., Met., Prod., ECE, Arch., Min., CSE, B.Ph., AEI, TXE, L.TECH., Information Technology, E. Electro., and Private Pilot License Course. Recently Madhya pradesh professional examination board MP PEB published the official recruitment Notification for filling posts of mahila paryavekshak Bharti for Sanchanalaya akikrit bal Vikas sewa department. Application form from Mahila of Mp was invited in the month of February 2017. Selection of the eligible candidates will be based on through the written examination. According to official notification examination will be held on 25- 26 March 2017 at various examination center of all over Madhya pradesh. Upjob.in Brought question paper of Female Supervisor exam of MP Vyapam. Hope following question paper of Women supervisor posts will be helpful in the preparation of Your upcoming examination. Mahila paryavekshak Aganwari exam was held in 2014 by MP vyapam. Recently election Commission of uttar pradesh conducted Panchayat Chunav in uttar pradesh for chetra panchayat sadasya and zila panchayat sadasya. Chetra panchayat sady is also known as BDC and all BDC winner candidates will elect block Pramukh of concerned block. all elected and winner Zila panchayat sadasya will elect zila panchayat sadasya of concerned district. Panchayat election in uttar pradesh was started from 9 October 2015 at it will be completed on 29 October 2015. Election will complete in four phases. Results of Panchayat election will be declared on 1 November 2015. All contestant and voter who are waiting results of panchayat Chunav 2015 are informed that commission may publish results online for each block and each district zila panchayat sadasya. Election of Zila panchayat and Chetra panchayat was held in all district of uttar pradesh except Noida . Chunav ayog conducted election for 77576 Sadasya chetra panchayat and 3112 Zila panchayat seats. Total 2 cror 13 lakh new voter voted in this election . and total 11 cror 36 lakh voter will vote in this election . Time election was held Block wise on the basis of Block and zila panchayat wards . election was held on 9 October, 13 October , 17 October and 29 October 2015 / parinam / results will be announced on 1 November .